We are pleased to announce that the recent Northumberland Mark Charity Walk has raised a magnificent sum of £3,211.50. The Province has sent a cheque for the value of £5,000 to Mark Grand Lodge. 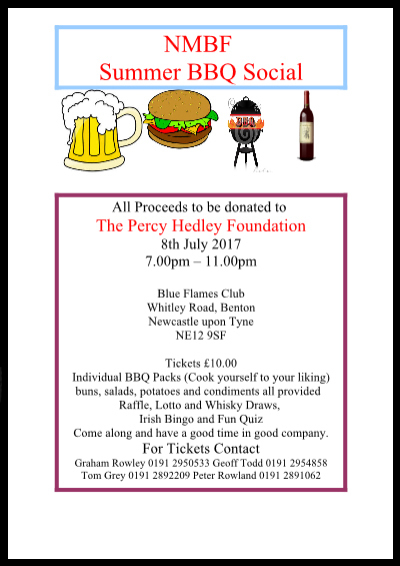 The Annual NMBF BBQ was to be held at the Blue Flames Club on Whitley Road Benton on 08/07/17. It is an annual event and is booked more than 12 months in advance every year. Unfortunately the Craft arranged the Tercentenary Dinner at St. James Park on the same date and this had a serious impact on our numbers for the event. The impact was such that it was no longer a viable option, as we would have been lucky to have had 35/40 people attending. 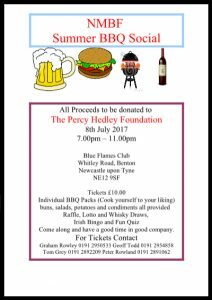 The beneficiary this year was to be the Percy Hedley Foundation when normally we would have expected in excess of £1000 to be donated to them from the event, and sadly it is they who suffer most from the cancellation. We have still however sent them a donation of £250 as a goodwill gesture for the late cancellation. 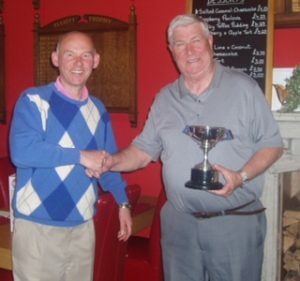 The Pledger Cup – Annual Stableford Challenge match between the Craft & Mark. Good weather and a good turnout – 10 players per team. The Craft retained the trophy winning by a score of 276 against 212.